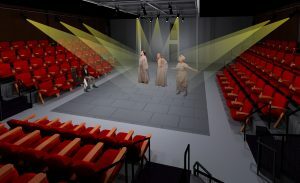 Marin Shakespeare Company plans to create a vibrant Performing Arts and Education center in downtown San Rafael, as exceptional as Marin itself. 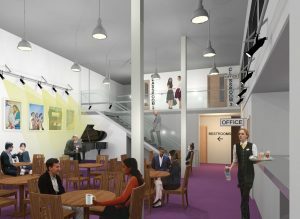 This versatile space will allow us to offer year-round performances, more education programs, and training and support for Teaching Artists in our innovative Shakespeare for Social Justice work. It will house the administrative infrastructure needed to grow and manage our Education and Social Justice endeavors, and house our repository of costumes and theatrical properties. We are now the proud owner of 514 Fourth Street in downtown San Rafael. The City has approved a conditional use permit to allow construction of a 165-seat indoor theatre. Many will remember 514 Fourth Street as the Heller’s for Children Store, established in 1963 and have fond memories of shopping for cribs, strollers, and baby supplies at this beloved family business. Now, the building will have a new life, providing a new place for the community to share imagination, creativity, stories, discovery, learning and excitement. 514 Fourth Street is located just 5 blocks from the Forest Meadows Amphitheatre, and will help revitalize East San Rafael, extending a cultural corridor throughout the City. 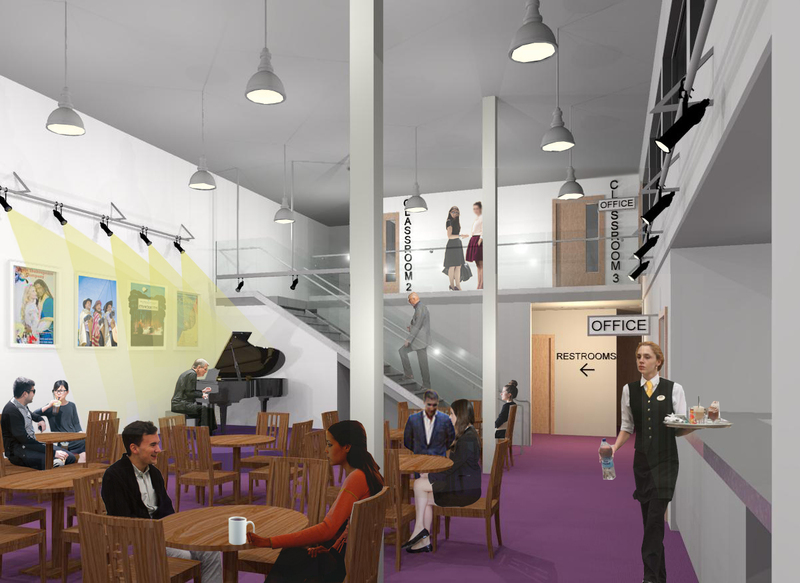 Marin Shakespeare’s new home will serve generations of audience, actors, and students. It will be a Center for Shakespeare for Social Justice. • We envision training programs that will inspire the use of Shakespeare for personal and group growth in prisons, schools and institutions around the country and beyond. • We envision a center for Returned Citizens to share stories about what it means to be formerly incarcerated. • We envision performances, readings, gatherings and discussions about Social Justice that will inspire our community and help us learn about social issues and how the arts add to public discourse. It will be a Center for Learning and Discovery. • We envision a place alive with young people learning and growing. • We envision performing arts classes for all ages. • We envision a center that supports arts learning in schools with student matinees, student performances, student workshops and more. It will be a Center for Public Gathering. • We envision a place where artists of the future can bare their hearts and express their ideas through theatre in ways we can’t even imagine. • We envision a place where generations of families will laugh, cry, think and engage in meaningful community dialogue. • We envision a place that exudes creativity, drawing people to it who want to explore, experiment, entertain, and enlighten. • We envision a place that plays a major role in the growing “cultural corridor” on Fourth Street in San Rafael. Our new downtown home will have practical value for others as well. Already the Downtown Streets Team, AlterTheatre and Ross Valley Players are putting the space to use. It will be available for rentals, events, and meetings. Upstairs, we are organizing 30 years of costumes and props in the large storage area, accessed by a service elevator. Soon this wonderful inventory will be available, not only for our own performances and classes, but also for rental by individuals, schools and other theatres. With the support of generous individuals and organizations, this dream will become a reality. Imagine what the future may hold! We’re delighted to offer tours of the new home of Marin Shakespeare. Click here for more information about plans for renovations of the Forest Meadows Amphitheatre. To find out more, or sign up for updates about these projects and our progress, please email management@marinshakespeare.org or phone Lesley Currier at 415-499-4485.